Over the last few months, we've heard so much about ALS or Amyotrophic Lateral Sclerosis through the "Ice-Bucket-Challenge" which was more popularized via social media by Hollywood and local celebrities. They gamely took the challenge, videoed themselves, and nominated another person to do the challenge. This move was created to fund the research on this condition also known as the Gehrig's Disease. I also saw videos ordinary people who took on the challenge, who may not necessarily understand it, and who may think that it's just amusing to do it. The viral campaign was created because not very much is known about this condition which affects the nerve cells of the brain and the spinal cord. So much has to be understood about this disease which I got to comprehend better after seeing the VIP Special Screening of "You're Not You". Questions like: "What are the challenges, the physical/emotional/psychological changes, and the stages of deterioration that happens to a person who has ALS?" were answered clearly. 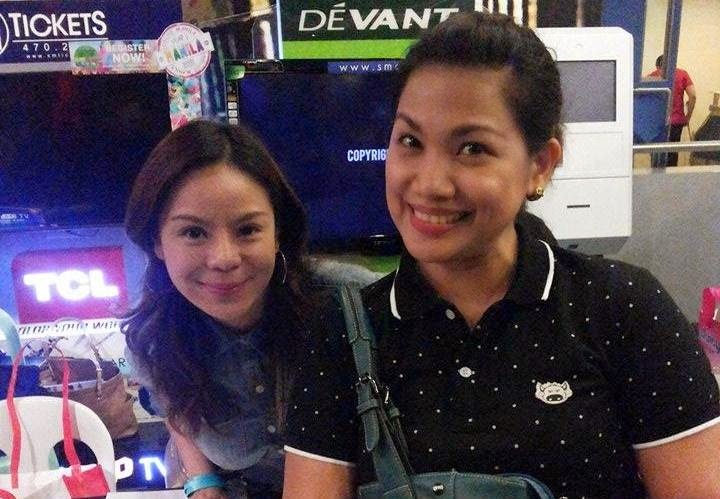 I am happy to have watched it with Macky, even if at first he thought it was just another chick flick. 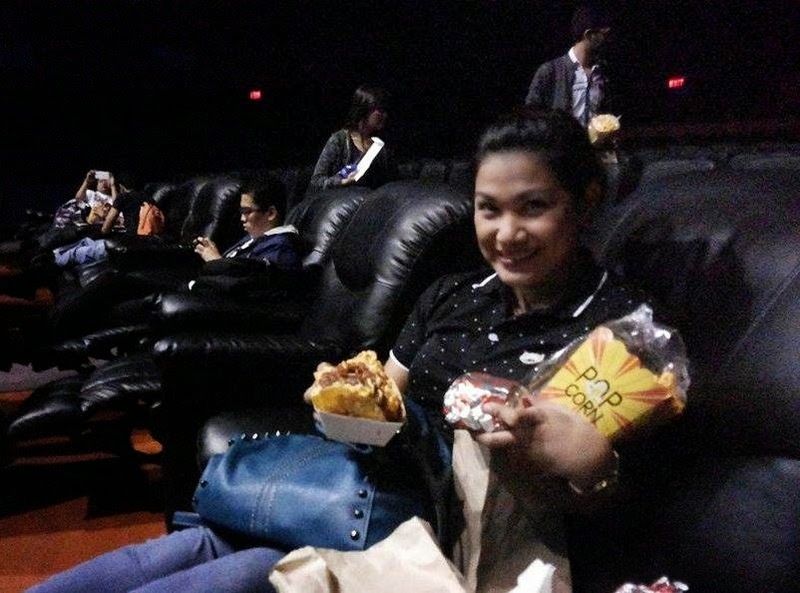 Lazy Boy chair while watching movie at SM Cinema. Macky too shy to join me in the photo. 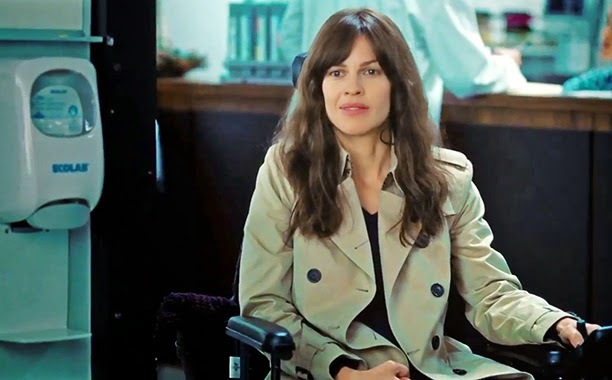 Oscar Award winner, Hillary Swank, played the role of an ALS patient named Kate. Her character vividly showed the transition from a healthy and successful classical pianist, to a helpless patient. Because of ALS, her motor skills and speech deteriorated, that she couldn't take care of herself at all. This disabling condition, made her and her husband Evan (Josh Duhamel) decided that she needed someone to look after her. This person was found in the character played by Emmy Rossum as "Bec" who was a college student and would-be singer. Kate and husband Evan were hesitant at first to hire her because she looked like she can't be trusted and one who couldn't even keep her own life together. But as the as the movie progressed, so did the characters of Kate and Bec. Both of them experienced a life journey on self-discovery, finding strengths and weaknesses in each other, and overcoming challenges and fears together. I don't want this post to be a spoiler, but what I could just say is that the movie pierced through my heart deeply. My mom died of cancer a few months ago and I personally witnessed how she deteriorated in the last days of her life. There was nothing we and even the doctors could do to stop the pain, the disease from spreading throughout her body and from taking her away from us. It's relatively the same experience of an ALS patient towards its last stage of the disease, as shown in the film. And it totally could break anyone's heart, like it did mine, and for sure many others in the cinema. But the film was directed and scored beautifully that it come too heavy. It actually touched a lot about faith in yourself, hope about life, changing for the better, not defining life with past mistakes, taking action in making dreams happen, and a realization that deep concern and love for another being is possible. ALS is a neurodegenerative disorder with various causes, characterised by muscle spasticity, rapidly progressive weakness due to muscle wasting. This results in difficulty speaking, swallowing, and breathing. The disease usually starts around the age of 60 or it could be directly inherited when the usual age of onset is around 50. ALS is the most common of the five types of motor neuron disease. The average survival from onset to death is three to four years. 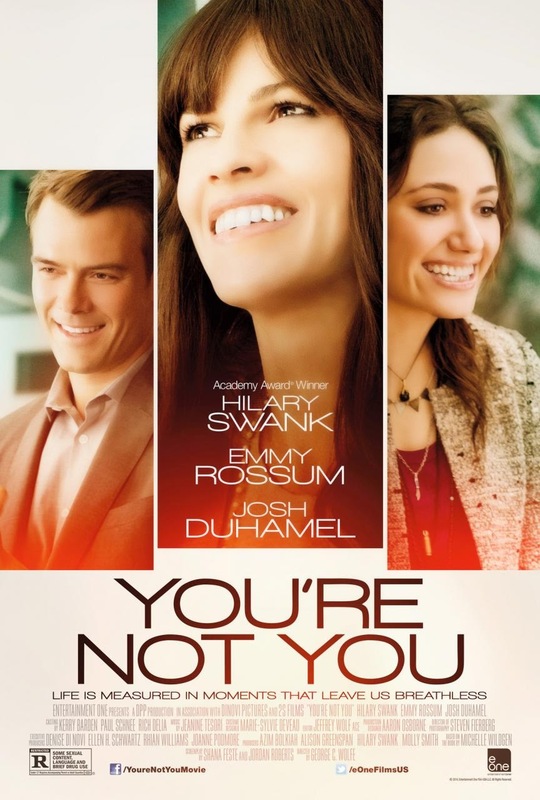 "You're Not You" is distributed and released in the Philippines by Octoarts Films International and will be shown in theaters starting November 26, 2014.